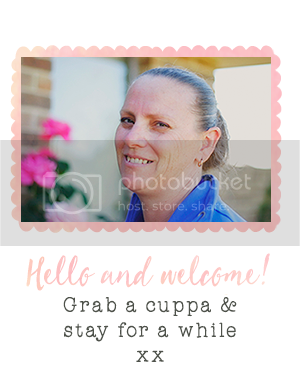 Stamp with Me: More Ginger Blossoms! My new (well 6 months old) vacuum cleaner has just stopped working (not happy Jan!) however it gives me the perfect opportunity to sit down and update my blog :) I am hoping the vacuum is just hot from my working it so hard (I have 2 kids, including 1 baby crawling and leaving mess everywhere) that it just needs a cool down! A bit like us really. It's another hot day here in Canberra. Well, anyway I have been very busy using the Ginger Blossoms Designer Series Paper (DSP) from Stampin' Up! And you guessed it! These gorgeous papers are this week's focus here at Stamp with Me! These gorgeous papers use delicate designs which are just perfect for creating elegant and coordinating projects. The papers are perfect size for scrapping as well as using shades of reds, pinks, apricots, creams and greens. You have to see it for yourself! 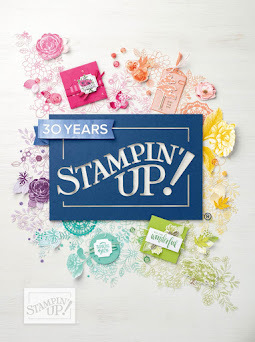 The set also blends perfectly with the Embrace Life stamp set from Stampin' Up! which will be making an appearance soon as my weekly focus! 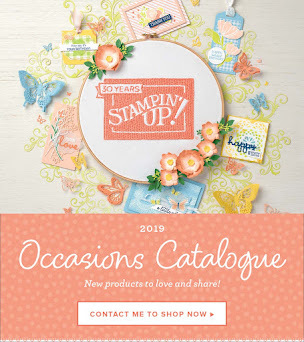 To see for yourself on what these papers and stamps look like - just pick up your 2009 Summer Mini Catalogue from Stampin' Up! and turn to pages 18-19. See what I mean! 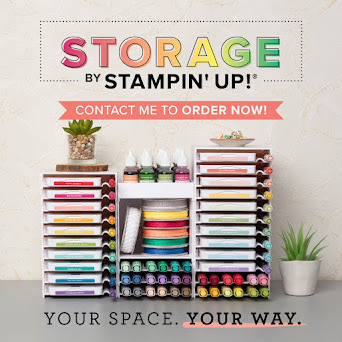 If you haven't used DSP from Stampin' Up! before - you'll be amazed at the quality. Each sheet is double sided and comes in a pack of 12 (2 each of 6 designs). I just love it! Oh, if you don't have a copy of the catalogue - contact me to get your very own! So you must be wondering what I've been up to with these beautiful papers - lots really, but I'm going to keep in suspense and only show one project per day! It's almost like making Christmas last that little bit longer! So do you like my beautiful little box? And you'll be surprised to know how easy it is to make. The template is easy to use and adapt if you want to change the size. I also (lol) used the balloon stamp from the Big Bold Birthday set from Stampin' Up! I told you it would make an appearance again one day! You can see I have the box standing on its side in this photo - to best show you how I used different colours and papers. The grosgrain ribbon (very vanilla) beautifully finishes off the box too - this ribbon is gorgeous! It feels so soft and looks so elegant! I have also made a little tag to hang off the ribbon to reflect the box is for a birthday gift. Okay - enough chatter, here is the project recipe!! Note: Use a sliver of the Chocolate Chip cardstock for the tail of the balloon! Also an update - my sister hasn't gone into labour which is good news. However she will have to wait out the four weeks in hospital. We'll keep you posted!